Campeggio Cepo Verde si trova a Gondesende, Braganza, è situato in una zona boscosa. Il campeggio a terrazze e campeggio con terreno collinare dispone di piazzole delimitate e sia ombreggiate che. È possibile affittare chalet, stanze e bungalow. Per gli sportivi, il campeggio prevede passeggiate con accompagnatore. Ci sono un programma di animazione. Il campeggio dispone di una piscina scoperta. Rustic chalet full, equiped, with a magnificient landscape. This is a hybrid type of lodgement (somewhere between a tent and a bungalow) which has one bed for two people, one table, stools, storage containers, one lamp and one electric plug. Being able to rotate in 360 degrees (patented functionality), the cabin allows the guest to enjoy the desired landscape at any time, to optimize solar light and also to ensure a great interactivity with the user/guest. This is a whole new eco lodging category, which is 100% national and patented (both design and utility), built by the company NeoArkétipo, Lda. within a joint venture with Cepo Verde and side by side with national companies of reference in the area of wood, woodworking, coatings, textiles and cork. After a three-year development, research and modelling phase, this is a true milestone in the history of Cepo Verde towards distinctness, originality and innovation (impossible to imitate). Designated as one of the best national campsites, this is the only privately-run campsite in Northeast region, being certified by ICNF as a Nature Tourism business, also bearing the international environmental quality seal from GreenKey. Cepo Verde campsite is located in a mountain highland, densely covered by chestnut trees, oaks and cherry trees, on a spot marked by IGESPAR as an ancient Roman site. Open since 1993, this is a quiet and family-oriented campsite, with an extraordinary landscape and surroundings. There are clearly marked hiking trails nearby. Visitors will be able to contemplate the world’s biggest pocket knife, registered in the Guinness World Records Book, which is exhibited in the campsite. Offering 40 individual spots, all of them with plenty of shades for tents, caravans and mobile homes, the campsite has a full capacity to accommodate 140 people. The spots are individual and independent, thus assuring a maximum comfort and privacy. Ogni anno un ispettore visita il Campeggio Cepo Verde, controllando oltre 200 tra attrezzature e altri punti di interesse del campeggio. L'ispettore è un dipendente ACSI e non lavora per il campeggio. Grazie per la tua visita e commento piacevole. faremo dei miglioramenti nel ristorante e nella piscina molto brevemente. Volete prenotare il campeggio Campeggio Cepo Verde o oppure saperne di più? Potete farlo usando i seguenti dati oppure tramite il sito del campeggio. A4 uscita Vinhais/Braganca (N103). 2a uscita a rotatoria per Braganca/Vinhais sulla IP4. Dopo 7 km uscita a destra su N103 Braganca Oeste/Vinhais e Campismo. Seguire cartelli. 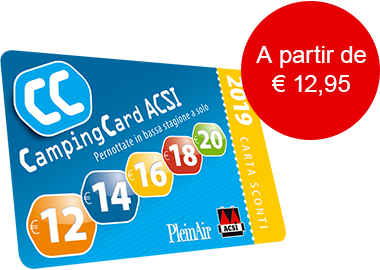 ACSI Eurocampings invia la tua richiesta di informazioni al "Campeggio Cepo Verde".